Sometimes life throws you an occasion you never thought in a million years you’d experience (at least not again), and you need new clothes. Nothing you own will do, and if you truly want to look like a whole snack for the night, you need more options than what’s available at your local mall. You need the internet to be your oyster. Well this happened to me this past month. Life handed me a prom night! No, I am not in high school. And no, I was not a chaperone at a high school. This “second chance prom” was a fund-raiser for cancer research, and I needed to look fantastic and feel comfortable because I was destined to dance the night away with colleagues and potential networking clients. For this night, I was extremely particular about the vibe I wanted to give off. I wanted my fun side to be apparent, but I also needed to class it up because my husband and I would doubtlessly encounter potential clients, and I wanted to do nothing less than dress to impress. Which is why I chose this occasion to test my theories about the best ways to shop online when getting it right really counts. And in this experience, here are the four most vital tips to shopping online I discovered for a look that’s absolutely show-stopping. If you’re using the internet to find an outfit perfect for your occasion, you’ll quickly become overwhelmed if you don’t go into it with some idea of what you’re looking for. If you’re looking for a dress, you’ll find thousands of styles, and if you’re looking for a suit, you’ll find even more options in that arena. Luckily, many online retailers offer filters to narrow your search by cut, size, or style, so if you take some time to gather inspiration from others who’ve worn outfits that channel what you’re going for you won’t be under water when you discover all the options the internet has to offer. Don’t do what I did. On my first online order for this prom, I spent a couple of hours browsing my favorite online retailers, picked the perfect outfit, and ordered every piece for it in one go. Once I got the order, I realized that not everything is meant to be purchased online if you’re shopping for something specific. The shoes I originally ordered were too big, the dress fit awkwardly, and the coat I selected wasn’t nearly warm enough. Through this experience, I determined it might be best to pick one piece to be delivered from the internet while the rest are either purchased physically to ensure proper fit or (even better) are pieces I trust are comfortable and stylish from my own closet. Thus, on my second order I was able to pick a jacket and some shoes from my own closet and choose some options online that coordinated with those specific items. Another mistake I made on my first order was ordering only one of each item. I’m lucky that I left plenty of time to place another order, because putting all my eggs in that outfit’s basket meant that when nothing fit properly I had nothing to go on. On my second order, however, I chose a favorite dress in two sizes (and one of the sizes was perfect!) and a backup style just in case my first choice just didn’t work, knowing I could return whatever didn’t fit.Both of these dresses would style nicely with the same pair of shoes and jacket, so as long as one of them fit well my outfit would be complete with little more effort. I wish I’d done this from the beginning, because I would have saved a lot of headache. I can’t stress this enough. When you’re shopping for clothes online, especially if you need them to look perfect for an occasion, you need to choose from a retailer with a good return policy. I purchased my clothes from ASOS, because they have a low minimum purchase on free shipping and free returns, but there are tons of retailers that will afford you the same luxury. Look for sites that don’t have crazy requirements for a return (like a defective item, because an ill fit does not count as a defect), and finding sites that offer free returns is even better. Good retailers understand that ordering online is a risk they’re taking alongside you, and they’ll do whatever they can to make it a good experience for you. 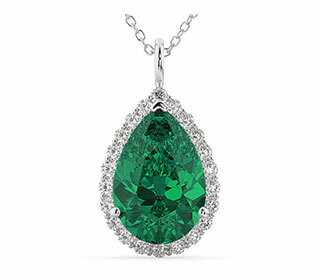 So don’t pass up the FAQ about returns, no matter how beautiful the pieces you find are. I may have learned the hard way the most important tips when it comes to finding the perfect outfit online, but sometimes the best results come through trial and error! I finally settled on the perfect outfit (shown here) and received more compliments than I ever could have predicted. My look said what I wanted it to say, it was appropriate for the occasion, and it fit like a glove. But most importantly, because I was choosey about the items I purchased, I was comfortable the entire night long. Let’s face it. Not all of us love the day of love. Sure, for some it’s a day of mushy-gushy lovey-dovey displays of affection. But to the rest of us it’s a perfect opportunity to roll our eyes and say, “barf!” We wouldn’t know a picture perfect romance if it bit us in the rear and the idea of celebrating something so cliché is downright annoying. And if you’re anything like me, the holiday has somehow remained just as repulsive now that I have someone to share it with. So while part of the world is preoccupied with elaborate date-night plans and Hallmark cards, let us ban together to celebrate an Anti-Valentine’s Day of sorts. Call your Anti-Valentine’s Day an ironic celebration if you will, or even just an alternative way to celebrate your love for yourself, but just because we don’t celebrate the traditional way doesn’t mean we have to deprive ourselves of a good time altogether. So here are a few ways to take your V-Day from tragically corny to perfectly alternative in some very simple steps. I know that one of the most fun parts of the holiday for a glamazon, and even for a lot of people who don’t normally wear anything fancy, is the whole idea of getting dolled up for once. And I must say, there’s something fun about doing my hair and makeup no matter what the occasion is. But if Valentine’s Day itself is holding you back from taking advantage of an opportunity to show your style, something edgier might be more up your alley. I’ll be opting for something a little more alternative, and I’ve derived my inspiration from none other than the queen of alt-glam herself: Los Angeles make-up artist and YouTuber Atleeeey. If you want to follow along with me and try something glamorous yet extremely Anti-V-Day yourself, you can follow this link to view a tutorial that includes a list of products and how to apply them. Here, I’ll say it. Screw romance unless it’s layered and steeped in all the delights of every food I love. That’s why I can’t think of a better way to say “I love you” to myself, and allow my spouse to do the same, than to allow ourselves the pleasure of a once-in-a-blue-moon episode of gluttony in our favorite buffet restaurant. The pressure to act artificially romantically is off, and isn’t this where the true romance of a loving relationship emerges? So whether you’re going by yourself or with a loved one, you should treat yo’ self by forgetting the formalities of a contrived occasion and embracing what your heart actually desires. Once I’ve gotten made up to the nines in ironic glam, my husband and I will be fulfilling the irony by living it up on our Anti-Valentine’s Day by finding a local Groupon (you can find a Groupon for a local establishment in your area worldwide, too!) coupon so that we can save our more money for other aspects of the perfect Anti-Valentine’s Day. In the midst of celebrating your love for yourself, you can’t forget all your other loved ones. Love in general should be celebrated every single day, and making sure to spread your affection past the traditional perimeters is essential to sticking it to the cliché man. You can celebrate your children if you have any, your mom or dad, your best friend, but don’t forget to show your pets all the love you have for them. What better way to bring on the irony of an Anti-Valentine’s Day than by pampering your fur baby above all else? In true anti-norm fashion, I do have ferrets, and because they’re the most playful and loving critters in my life I can’t wait to gift them these comfortable harnesses so I can take them to all the places they deserve and would love to visit. But because I also have a good doggo, I’ll probably also end up buying endless toys and a new bed for her as well. Finish by Treating Yo’ Self! If you have a significant other, or if you’re pouring your love on your other loved ones and pets during this alternative day of love, you can’t forget about yourself. You just can’t! It’s the whole point of an Anti-Valentine’s Day. You pour so much energy into making sure the people you love are taken care of every day of your life that you mustn’t neglect to make yourself feel loved, too. You need to set aside some time to pour yourself a bath, or read a new book, or DIY something for yourself that you’ll enjoy for a long time to come (like this coffee station that’s easy to re-create and will make you feel like a king or queen every single morning). I, myself, plan to use this bath bomb and epsom salt kit I was given for my last birthday. And I might even take a virtual trip to Amazon to order some candles and a new book to enjoy while I pamper myself. So here you have it. A breakdown of how to enjoy a proper Anti-Valentine’s Day, all tradition thrown to the wind in an ironic twist of celebration. Celebrate your loved ones, celebrate your pets, but by all means: celebrate yourself and do it YOUR way. Forget the traditions and the romance, because the best romance is to embrace exactly who you are and what makes you uniquely happy. 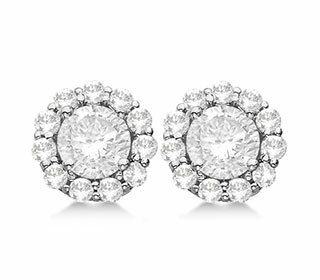 Top picks for mom (because she deserves the best). 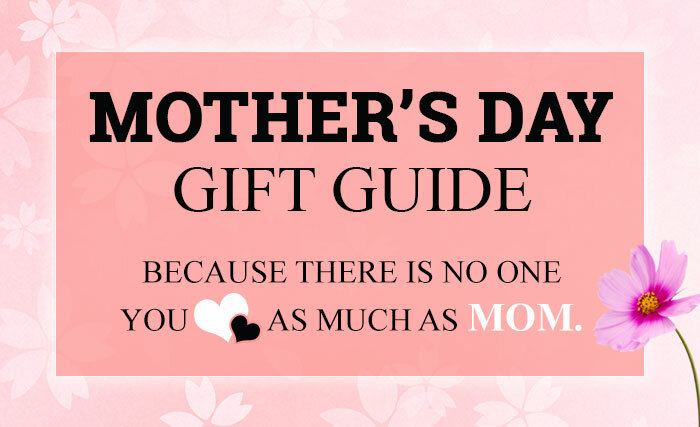 Mother’s day gift guide. Dyson's Supersonic Hair Dryer uses intelligent heat control technology to prevent heat damage to your hair, preserving its natural shine. This high-speed and powerful hair dryer works to straighten and smooth delivering beautiful, silky locks. This fragrant Fizz & Bubble Bath Truffles are drizzled and dipped in moisturizing shea butter and an 8-Oil Blend for a rejuvenating bath experience. The truffles "fizz" and "foam" once they are submerged in the bath for a little luxury. Haven Teak Bath Accessories enhances your bath/shower experience. Luxury essential bathroom accessories crafted of the finest grades of genuine teak for your bath or shower, helps create a soothing spa like feel. Treat yourself to a little indulgence at home with Wamsutta's Personalized Plush Robe. This ultra soft robe offers plush comfort and warmth that is sure to sweep you off your feet. Add your initials in matte satin for a personal touch. Take a photo, then print it out instantly with HP's Sprocket 2-in-1 Printer. Performing as both a 5-megapixel camera and compact printer in the size of a cell phone, it goes wherever you do. You can also print images from your Bluetooth device. 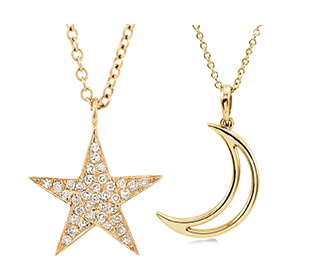 Celebrate your beautiful relationships with contemporary, on-trend jewelry that is both stylish and meaningful. Featuring adorable charms and colorful beads, these expandable, silvertone bangles from Shine make a thoughtful addition to your everyday look. Let the iRobot Roomba 980 Vacuum Cleaning Robot help you with the vacuuming while you tackle the rest of what life throws your way. Works on all floor types and lets you schedule cleaning preferences from your smartphone using the iRobot HOME App. Puzzles, Facts and Fun - Gifts for Everyone. Jingle all the Way to our Christmas Gift Guide. The book elves have been working long into the night and it’s our absolute pleasure to invite you to our Waterstones Christmas Gift Guide, where you’re guaranteed to find the perfect present for everyone (and maybe just a little treat for yourself too – you know you deserve it!). Hobnobs or Digestives? Wizzard or Slade? This Christmas, bring the ultimate competition home. Pit your acumen against the mighty brains of Bletchley with these fiendishly complex puzzles. Spy School: Are You Sharp Enough to be a KGB Agent? The perfect gift for hungry minds of all ages; illuminating everything from black holes to biros. The UK’s bestselling annual satirical rundown takes readers on a ride through a rollercoaster year. Whatever your political colours, this will tick the box. It’s Christmas but 100% more Corbyn. With Mother’s day quickly approaching on Sunday May 14th this year. 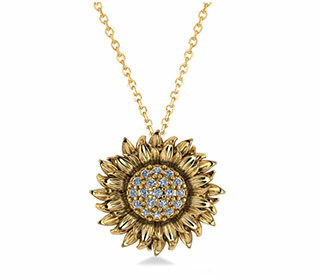 We are all rushing to find the perfect gift to show mom how much we love her! Have no fear though- Allurez is hear to give you our top 9 gift ideas which will be sure to have mom grinning form ear to ear. 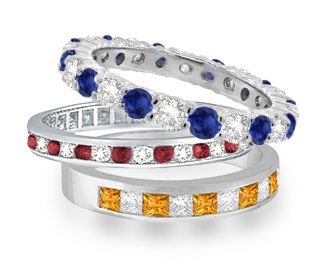 Mix & Match our stackable rings with the birthstones of her loved ones. 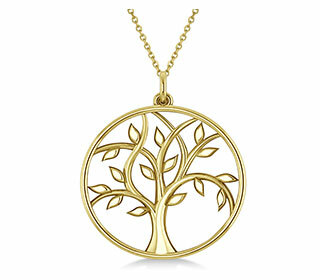 Show your family roots with tree of life jewelry. Allurez fowers last a lifetime. 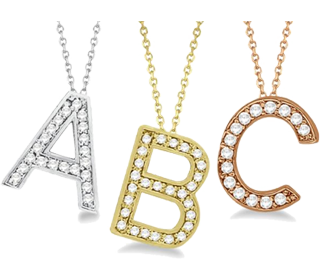 Give mom the gift of her initials or those of her loved ones. 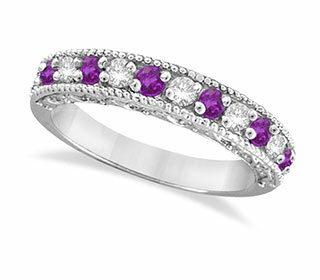 Gift her the birthstones of her loved ones. 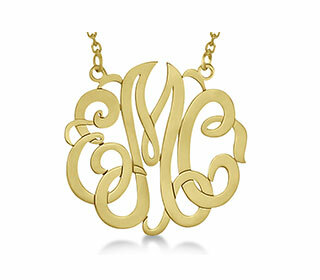 Give her a truly memorable gift with a monogram pendant. Because she means the world to you. Getting the Perfect Gift for Everyone! Christmas Gift Guide. Getting the perfect gift for everyone is no mean feat. Taking care, pride and joy in your gifting is such a pure, heartwarming pleasure. To help you out, we’ve put together some fabulous ideas, whether it is your Mom, sister, Aunt, best friend or special co-worker, we KNOW she would just LOVE one of these! For the sporty gal, the exercise queen who is always exercising, in the gym, outdoors. Clarins Daily Energizer Cleansing Gel removes all traces of makeup and pollution, leaving your skin clean, detoxified and blemish-free, it protects even the most delicate skin and ensures a bright, luminous complexion, every day! Can be used daily, morning and evening. Gently lather onto damp skin, avoiding the eye area. Rinse with cool water in the morning to wake-up your skin and warm water in the evening to relax your skin and help makeup removal. For the perfectly groomed woman who is always dashing from airport to boardroom to evening function! For the natural woman, who just loves botanical products. 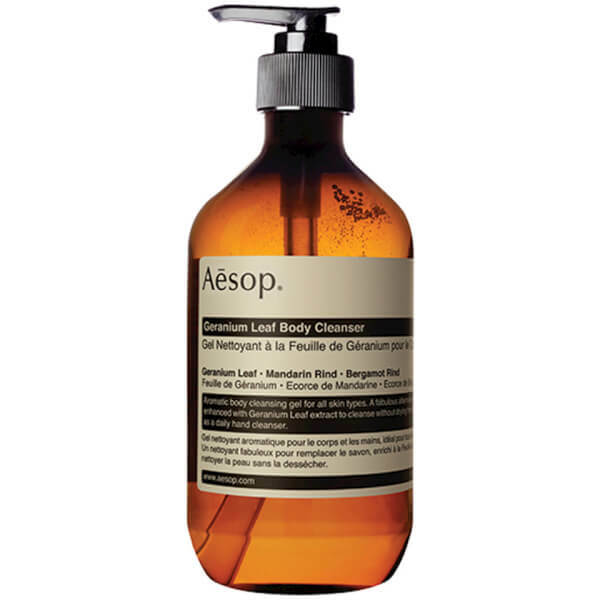 Think Aesop Geranium Leaf Body Cleanser. This best-selling botanically enhanced cleanser gently removes grime, banishes odour and leaves skin beautifully scented and refreshed. The invigorating gel is suitable for all skin types. For just about anybody, who loves a beautiful scent sensation! 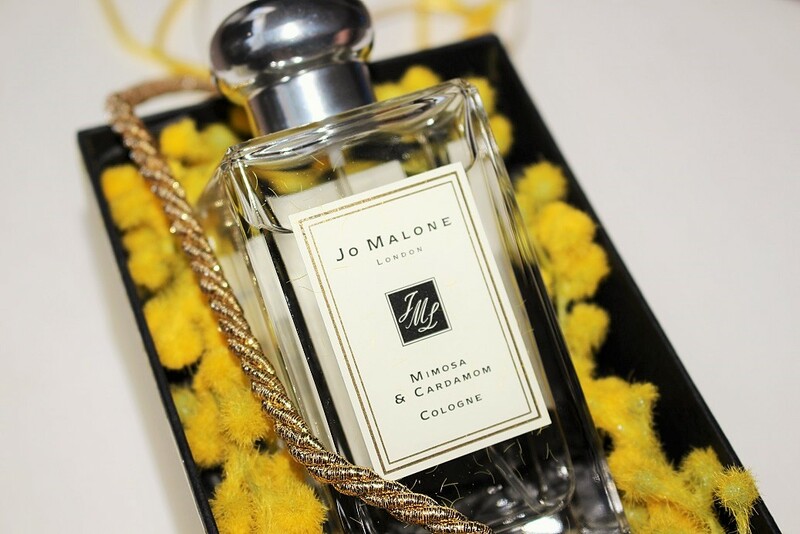 Jo Malone Mimosa & Cardamom Cologne creates a warm, ethereal, unforgettable scent. The mists of honeyed, golden mimosa mix with the spiciness of freshly crushed cardamom whilst Damask rose (picked at dawn), and the creamy tonka and smooth sandalwood is woven under powdery heliotrope. AND, if you don’t see exactly what you are looking for here, don’t stress! The COSME-DE website is PACKED full of the most awesome products imaginable! From the tried and trusted, true traditional classics, through to the very latest range that has hit the market, you are guaranteed great choice, great prices, free shipping and amazing service and guarantee! What are you waiting for – it’s Christmas time! Copyright © 2007 - 2017 Cosme De Net Co. Ltd. All rights reserved.